On Saturday, September 15, 2018 "The Atlanta Allstars Band performed at the 45th Annual Heritage Ball, hosted by the Heritage Foundation at Eastern Frank Battlefield Park in Franklin, Tennessee." 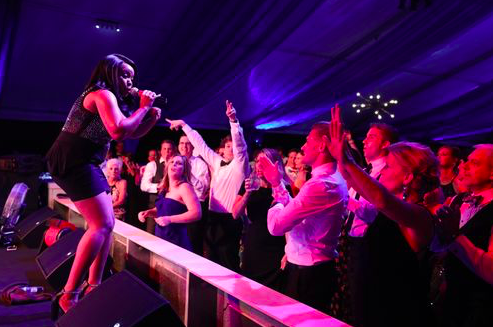 "The Sept. 15 black-tie event included live and silent auctions, a full band with dancing, and dinner. The theme this year was tie-dye." Read the full article and scroll the the Atlanta Allstar photo gallery from this evening with photography by Alan Poizner.